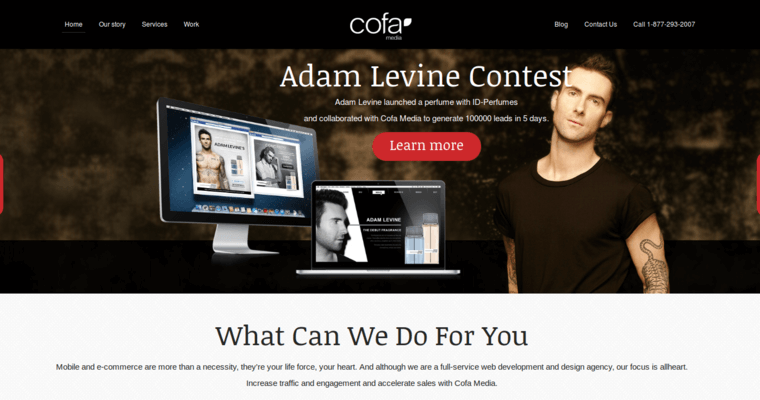 COFA Media develops websites with strong design and business models in mind. 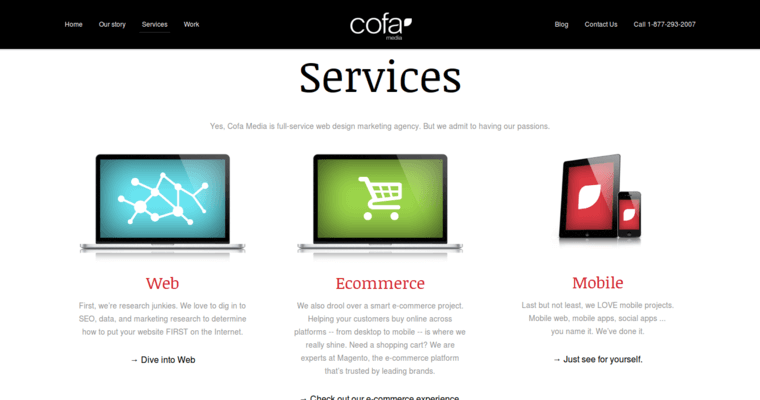 From mobile platforms to social media marketing, COFA Media helps companies achieve online success. Using the Magento ecommerce platform, COFA Media adds custom stores to clients' websites and adapts these stores to mobile devices. After clients' websites are published, the firm's support team is available to help clients manage their websites and content. 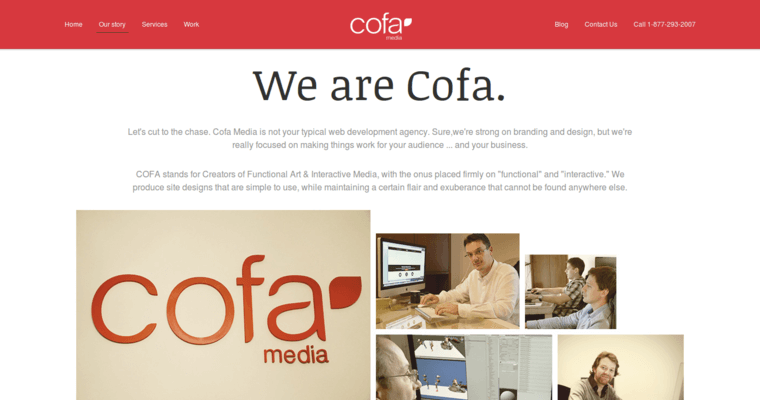 COFA Media provides a number of website services including search engine optimization, business consulting, marketing, branding, interaction design, online exposure strategies, application development and mobile, responsive designs. With its three international offices, COFA Media works with a diverse set of clients. The firm also specializes in its clients' favorite content management systems, WordPress and Drupal.